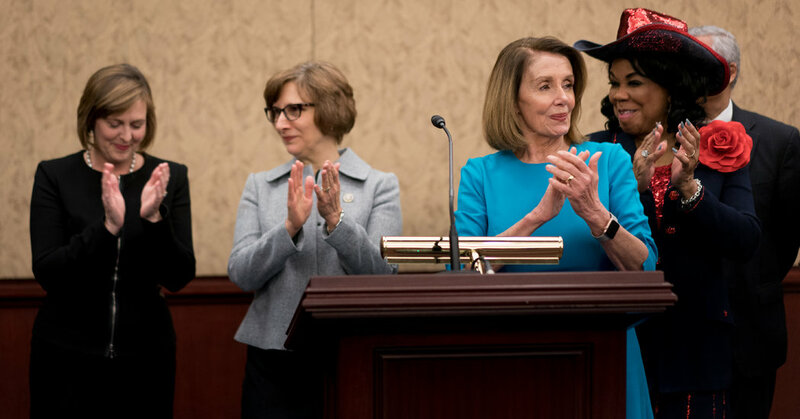 Many newly elected Democrats in the House voted to make Representative Nancy Pelosi the next speaker. But that does not necessarily mean that she has their support. Sheryl Gay Stolberg, who covers the Congress for the New York Times. Representative elected Rashida Tlaib, Democrat of Michigan. Sheryl Gay Stolberg contributed to the report. "The Last Battle of Nancy Pelosi" was produced by Theo Balcomb, Paige Cowett and Andy Mills and edited by Larissa Anderson. "The Daily" is produced by Theo Balcomb, Annie Brown, Jessica Cheung, Lynsea Garrison, Michael Simon Johnson, Andy Mills, Neena Pathak, Rachel Quester, Ike Sriskandarajah, Clare Toeniskoetter and Alexandra Leigh Young, and edited by Larissa Anderson, Paige Cowett and Wendy Dorr. Lisa Tobin is our executive producer. Samantha Henig is our editorial director. Brad Fisher is our technical manager. Chris Wood is our sound engineer. Our theme is Jim Brunberg and Ben Landsverk from Wonderly.